The cut of a diamond determines its brilliance or sparkle. Each shape will be cut differently. Before a diamond is cut, the location of inclusions and flaws, the natural colouration, and the original shape of the rough stone are studied extensively. The stone facets are then mapped out and cut in a way that maximizes size, shape, and clarity. 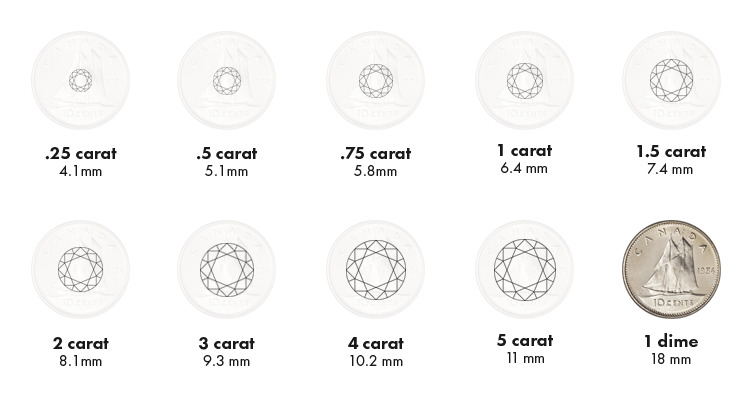 For optimal light performance, you will want a diamond that is cut neither too shallow nor too deep. Diamonds are graded based on the amount of colour they do or do not possess. The scale runs from D (colourless) to Z (light yellow). An absolutely colourless diamond is rare and therefore very valuable.